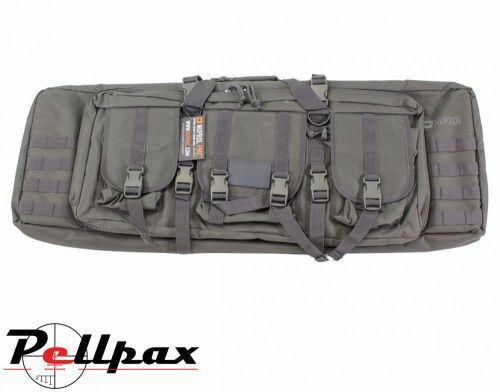 Nuprols Tan Deluxe Soft Rifle Bag is Perfect for the transport of your airsoft weapons. You can fit 2 rifles in the main section which has a padded divider preventing damage against each other and padded outer walls which stops any damage from outside the case. The gun bag also features smaller zipped side pouch for either a SMG or equipment with two velcro closed compartments. •	Padded adjustable/removable shoulder straps.